The first race of the day on ITV at Sandown Park is the Unibet Mares' Listed Hurdle and in this contest over 2 miles 3 1/2 furlongs we have gone for the Willie Mullins trained Laurina. In this race we are advising no bet but if you fancy having a go we suggest that you pair this mare up with another selection as it is predicted to be highly odds on, or you can bet on it to win by a certain amount of lengths. This superstar for the Mullins yard is one of the most eagerly anticipated horses of the year to be unleashed after last year going unbeaten and putting some superb performances in at the Cheltenham Festival and in her Grade 1 winning spectacle at Fairyhouse. She should romp home tomorrow in this Listed contest which only see's three other runners alongside her and it will be good to see how goos she can be this season. The Dellercheckout needs to improve on his hurdles form, but could do that on his first start over the larger obstacles in the BetVictor Bet 5 Get 30 Offer Chase. The 6yo gelding rounded off 2018 with a good third at Ludlow over timber, is still very lightly raced and will look to break his six-race maiden tag on his chasing bow. Interesting participant, with Bryony Frost aboard. The next race of the day at Sandown Park is the feature of the day at Sandown with the Grade 1 Tolworth Novices Hurdle over 2 miles and we have gone for the Nicky Henderson trained Rathill. A lot of McManus horses were entered into this race originally and were from the Henderson yard but this is the only one to stay in the contest meaning this must be there best chance and it has to be a strong contender.He is the current market leader at 6/5 and he has only raced twice in his career. He came second on his debut point to point in Ireland and since then went to Newbury and beat a 20 runner field to comfortably land a Class 4.This Grade 1 is a huge step up but he offers a lot of potential and could turn into a hurdling superstar. Tedham's form figures currently reads 432, so trainer Jonjo O'Neill will be coming that the '1' arrives in the Lengthen The Odds With BetVictor Handicap Hurdle. He was only five lengths down to the highly-talented Getaway Trump, who went onto finish second for Paul Nicholls and Harry Cobden in the Grade One Challow Novices at Newbury between Christmas and New Year. Very solid form including his third to The Big Bite earlier on in the season, and holds a leading chance here. The penultimate race of the day at Sandown Park is the Unibet Veteran's Handicap Chase and in this contest over 3 miles we have gone for two horses in a race with such a big field. Firstly Rock Gone for Dr Richard Newland has a great chance to land this Class 2 Handicap after putting in a really strong seasonal debut which was the first time we have seen him for a year. He came a good second over course and distance and if matching that won't be far away again. Our next tip is the 12 year old Buywise for Evan Williams won this race last year off exactly the same mark. He did well when hurdling last time out but will need to step up a lot back over fences, each way claims. 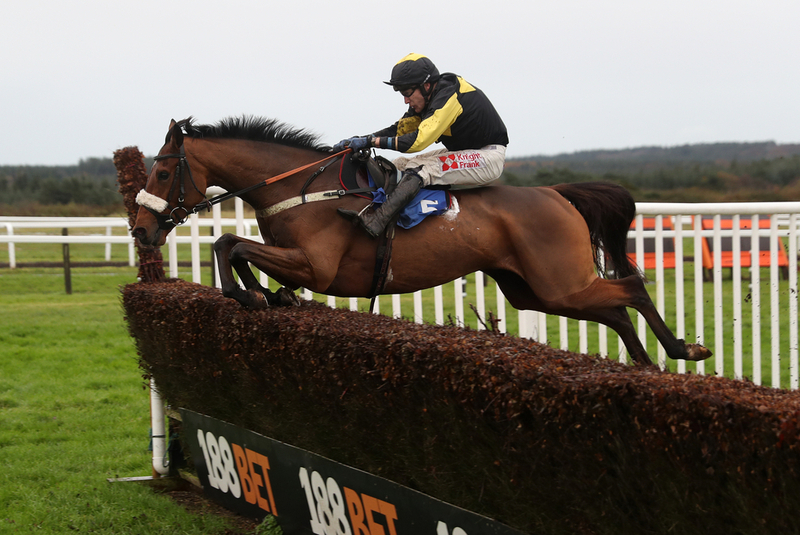 Calipto was in the process of running a good race when unseating at Chepstow just nine days ago, but has a chance to redeem himself in the BetVictor Guaranteed Run For Your Money Handicap Chase. Was only three lengths down on the leaders when parting company with Charlie Deutsch at the final fence, and today relies on the young-promising Conditional Jockey Hugh Nugent, who takes off 7lbs. Will be on the premises for sure. The last race of the day at Sandown Park is the 32Red.com Handicap Hurdle and in this contest over 2 miles we have gone for the Phillip Hobbs trained Demopolis. The J P McManus owned five year old holds a lot of potential for this yard and has only ran twice in his career giving bright performances on both occasions. On his first start in France he beat a field of 13 and looked a really exciting prospect, since then he has moved to England and came second at Haydock behind a useful type. If learning from his mistakes and being able to stay that bit further he could b a really smart hurdler and dangerous at a nice price in the last race of the day.